Removes sticky gel residue. Use with Cleansing Wipes. ..
Soaks gel polish off in 10 minutes. Use with Remover Wraps ..
Express yourself with your favorite China Glaze shades to match your every style and mood. Feel confident knowing your Gelaze gel manicure remains chip-free with long-lasting shine. Professional Necessities Kit includes: Ge.. Tired of complicating gel products? Try BASIC ONE’s Gel Kit to get started with the latest in gel technology. Everything you need to create beautiful gel nails and French gel with ease and stress free! Kit includes: • 9 watt UV .. 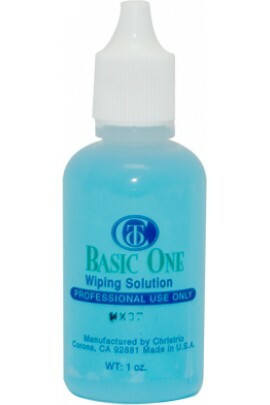 Tired of lint particles floating all over your work place & sticking to your client's nails? 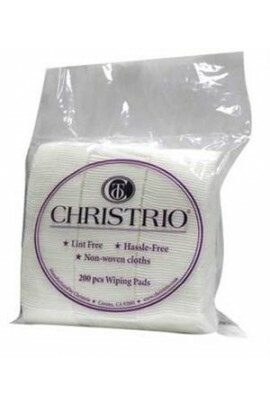 Christrio cotton pads to the rescue! Lint-free cotton cloths for use with all nail preparations, disinfecting, & eve..
Sanitizer, gel cleanser, disinfectant, dehydrator & polish maximizer! 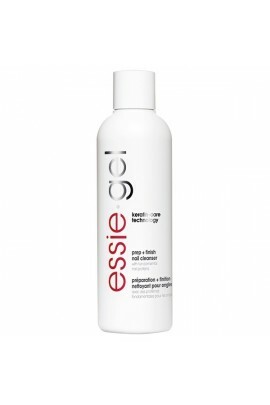 Ensure removal of particles, bacteria, oils, dead skin, & moisture with this amazing prep solution! For use before all products from enhanc..
Sanitizer, gel cleanser, disinfectant, dehydrator & polish maximizer! Ensure removal of particles, bacteria, oils, dead skin, & moisture with this amazing prep solution! For use before .. The non-stop nail prep. 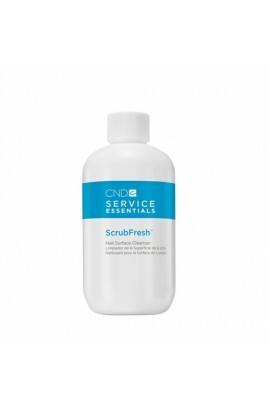 Sanitizes and prepares natural nails for enhancements without rinsing. 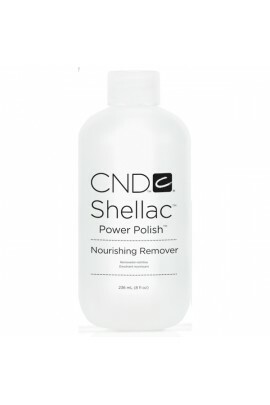 ..
Shellac Nourishing Remover removes Shellac, removable gels, nail polish, liquid & powder, wraps, adhesives, and tips from natural nails. Reduces dehydration of nails and surrounding skin and eliminates the appear.. 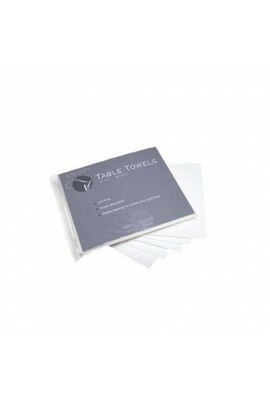 Plastic backed and super absorbent to protect your work station. .. This spray cleanses and leaves nails looking refreshed, free of oil residue and ready to be polished to perfection. ..
Nail Brightening Intro Kit Includes: Bright Time Nail Soak (5oz / 141g) - This cleansing effervescent soak helps reduce the appearance of nail discoloration, leaving nails brighter looking with a healthy luster. Go Bright Nail Scrub (3oz .. Contains keratin, vitamin e derivative and pro-vitamin B5. Clean nail plate free of oils to maximize adhesion of essie gel. 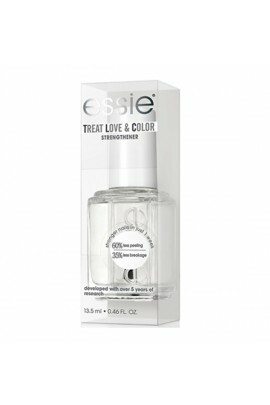 Also removes the tacky gel residue after curing essie gel top coat ..
Essie white bright nail pen utilizes non-bleach technology to help whiten and brighten the appearance of natural nails. 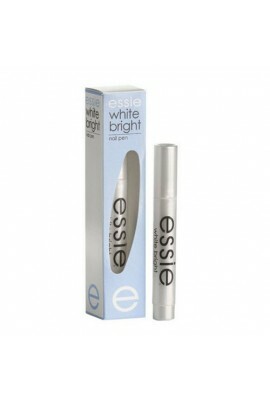 White bright can also be used under your regular Essie manicure before applying base coat. 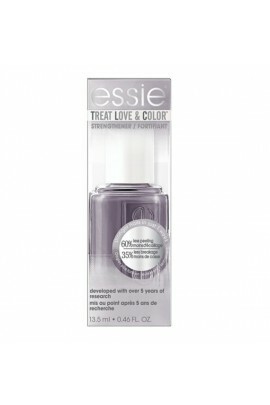 This unique formula uses non..
1st advanced 1-step care & color formula.Treat Love & Color Strengthener for normal to dry/brittle nails specially formulated to actively care for and help reinforce the nail.Key Benefits:Stronger nails in just 1 week: 60% less peeling, 35..
Our 1st advanced 1-step care & color formula.Treat Love & Color Strengthener for normal to dry/brittle nails specially formulated to actively care for and help reinforce the nail.Key Benefits:Stronger nails in just 1 week: 60% less peeling..